In many situations, We may need to get pictures from Microsoft Word files. There are many ways to get photos easily, like Copying photo to image editing softwares (such as Photoshop, Gimp etc..) or by screen printing. 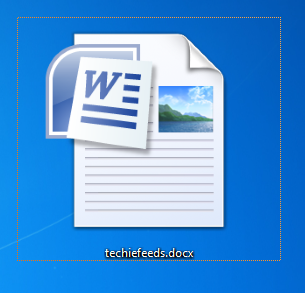 Here we are going to show how to get pictures from word file or from any Microsoft office packages in an easy way. This method is more adoptable if you have large number of images in office files. How to Images directly from Office Files? Make a copy of your word file ( /any office file). Now open this *.zip file. And select all images on the file you need to get. Yeah! Now just open extracted folder and pick your images. Feel free to drop doubts / comments below!